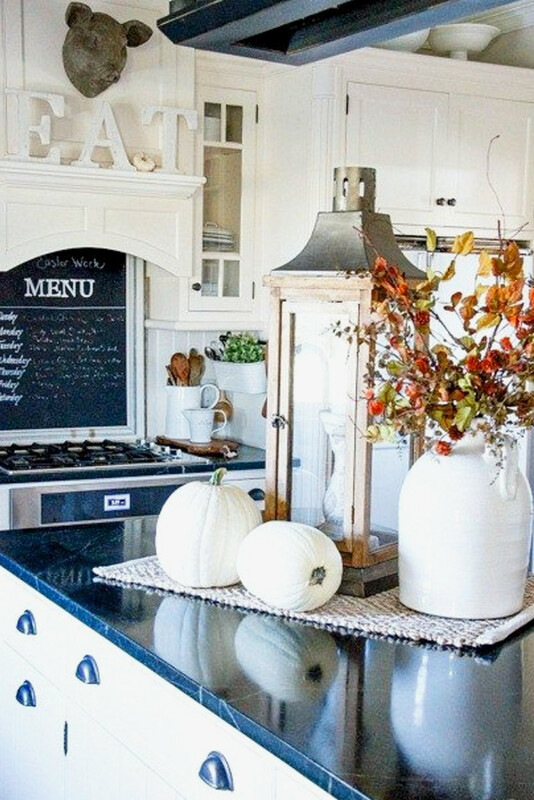 Do you love white farmhouse kitchens? Me too! I am in LOVE with these modern farmhouse kitchens below! They’re all decorated for Fall and are so pretty! And look, there’s those white pumpkins again! 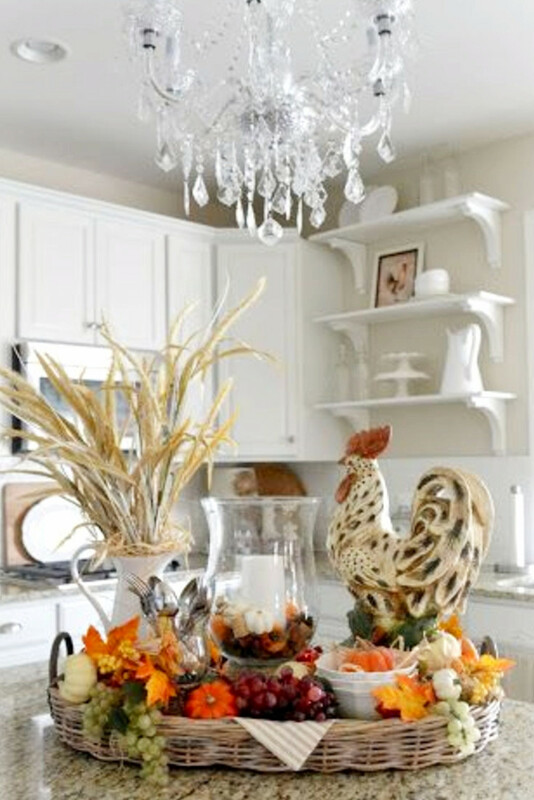 I love that white jug with the fall foliage in it, but I’m more of a “shabby chic decor” kind of gal. 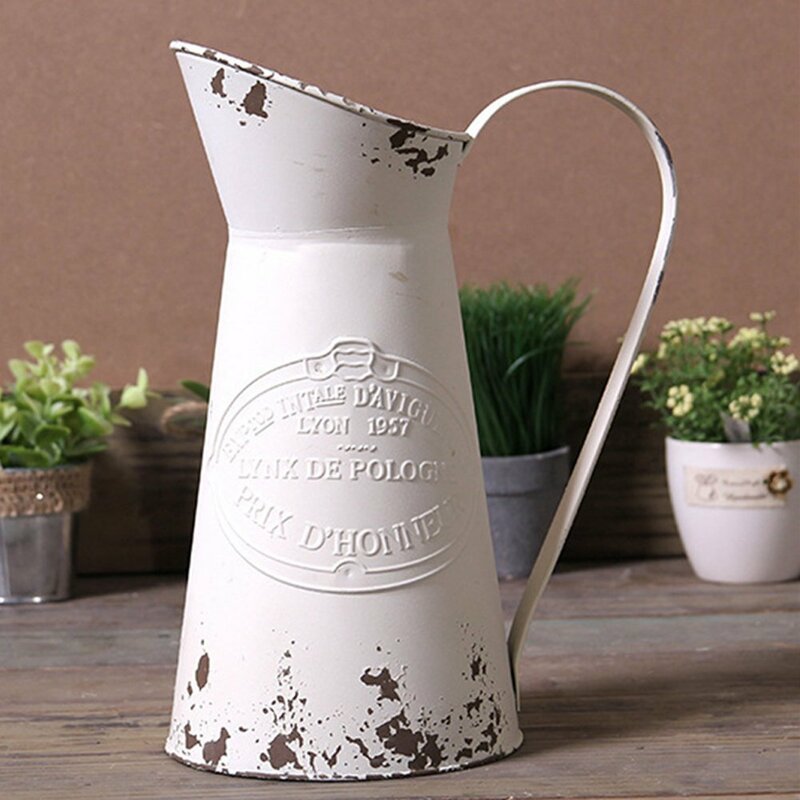 I love THIS jug for flowers in my kitchen… isn’t it gorgeous! 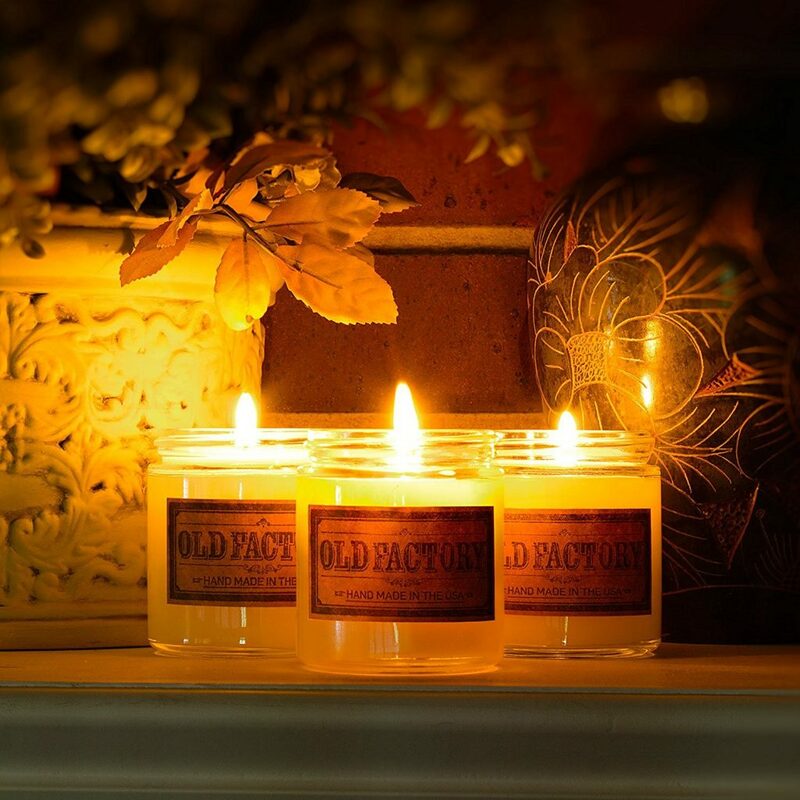 I also have these Fall-scented candles in my kitchen – and another set on my mantle – they smell heavenly! 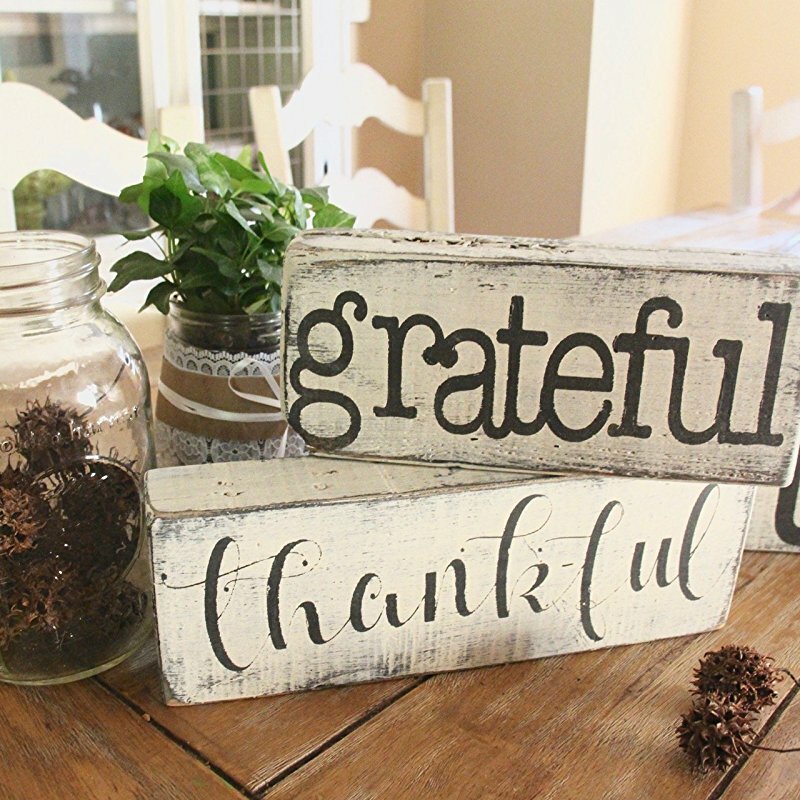 I think that Fall basket decor thing would look great as a Thanksgiving table setting centerpiece, don’t you? I think this one is very pretty – so simple, yet makes an elegant statement. 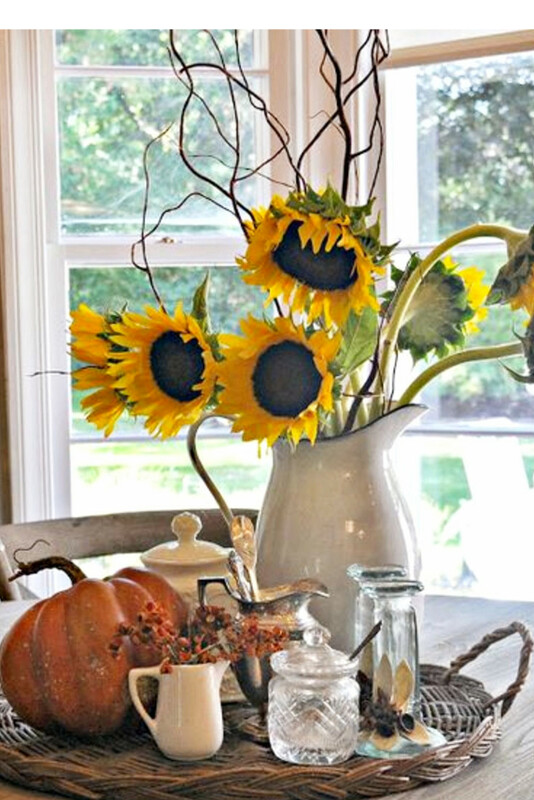 And y’all know how much I love sunflowers! These little wooden blocks are so simple, but I love having them out in my kitchen not only during the Fall, but all year long.